Cavalier Caribbean: also for export from Aruba, Bonaire, Curacao & Sint Maarten! Cavalier is also big in small in conditioned shipments to the Antilles! Sea freight reefer shipments from Rotterdam to Aruba, Curaçao and Sint-Maarten. 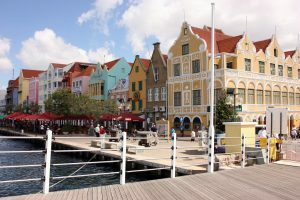 Cavalier has four offices in Aruba, Bonaire, Curacao and Sint Maarten. These four offices bring our high service level even closer to the customer. The direct connection between these offices, Cavalier the Netherlands and Miami offers major advantages for you as our customer. One stop shop for shipping to and from Aruba, Bonaire, Curacao and Sint Maarten. Via our contact page you will find a complete overview of our contactdetails.